A guide for installing the popular blogging software. A guide for installing the popular PHP based CMS. How to install the leading E-commerce software on your Pipe Ten hosted account. How to install Drupal on your Pipe Ten hosting account. How to install the most popular .NET CMS on your Windows account. A guide for using our 1-click installer to install hundreds of applications and frameworks. 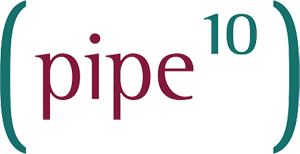 How to setup PHPlist within a Pipe Ten Linux hosting packages. A guide to stop DNN using more database space than you would like. How to install DotNetNuke within our Windows hosting enviroment. How to install a WordPress multisite setup on your Pipe Ten Linux hosting account. This guide shows how to install your own PHPMyAdmin. Why should / How do I update my web applications? How to update WordPress plugins and why/when you should do so. A guide for installing the Shopware CMS for a website. A rough overview of how to get familiar with WordPress and some of its plugins.